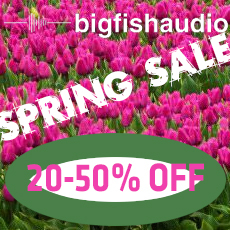 Big Fish Audio has been bringing the funk for years. Now the legendary Funk/Soul Brothers are back with a second collection of killer funk tracks. These 29 construction kits were inspired by the likes of Tower of Power, James Brown, Earth Wind & Fire, Kool and the Gang, Ohio Players, and many more. With live drums, percussion, guitars, keyboards, synths, turntablism, and huge horns, there is a lot of top-notch material to work from. All material comes in REX, WAV, Apple Loops and RMX format. 29 construction kits from 70 to 130 BPM.All of the construction kits contain a full mix and all the elements broken out into individual loops. Great library. Many good loops and sounds.